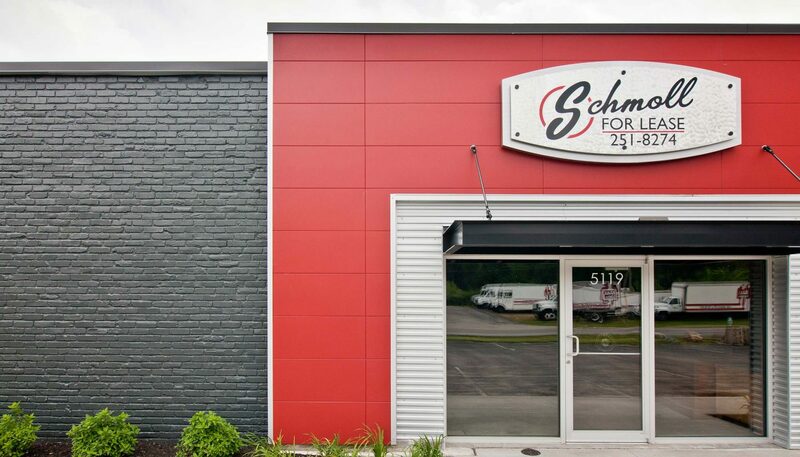 Home to an eclectic mix of businesses ranging from metalworking to microbrewing, the fifty-year-old Schmoll Industrial Park needed an updated facade. 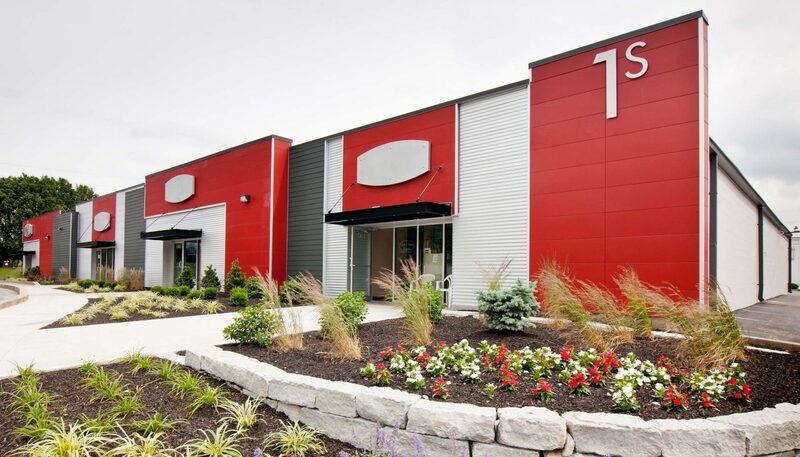 Curran worked with the Schmoll family to design a new look that would reflect the park’s unique personality, bring uniformity to diverse building facades, and attract a broad range of tenants. 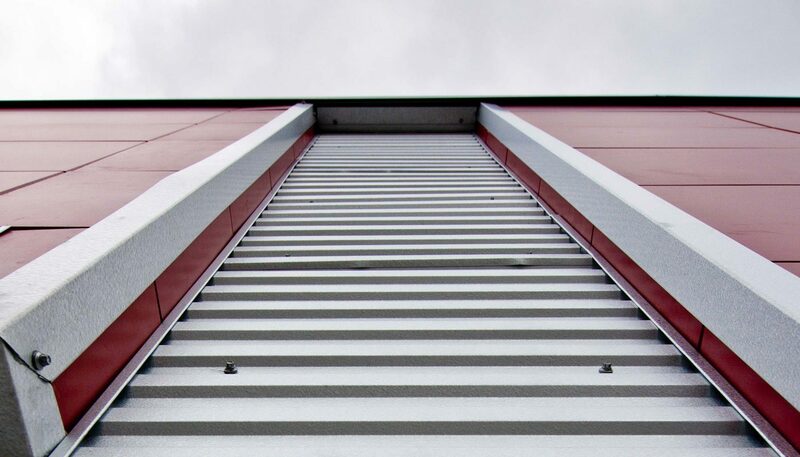 Curran gave the space a contemporary, urban look with corrugated steel siding and fiber cement rain screen panels. 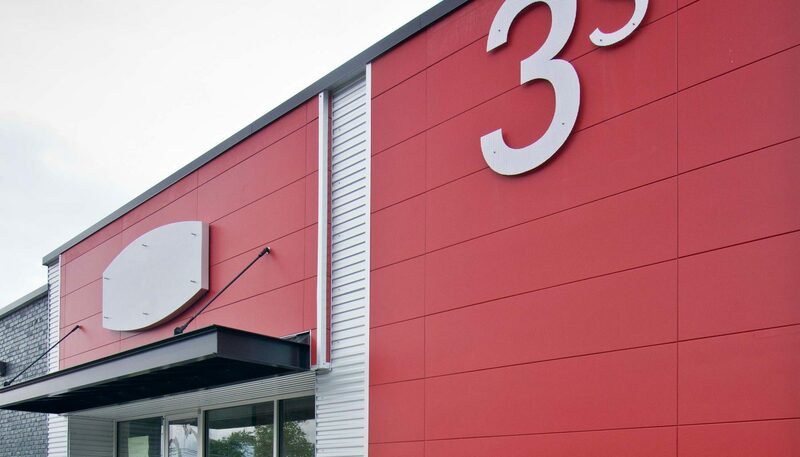 Traditional elements, such as the existing brick veneer on one of the buildings, were incorporated into the new facade and painted with a 21st-century twist. 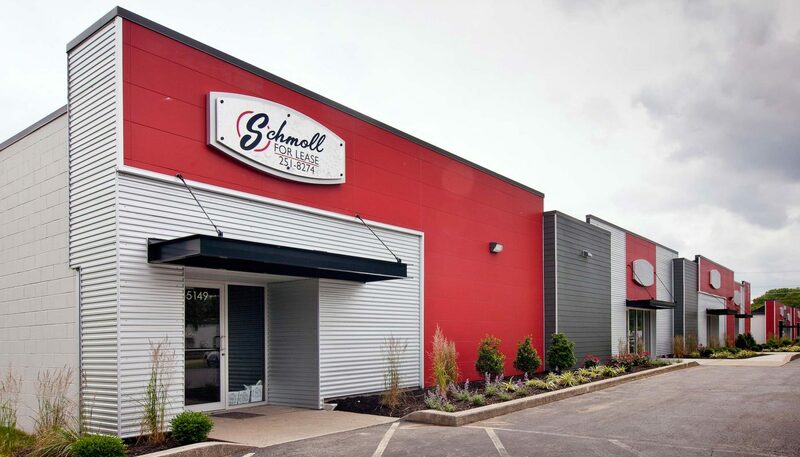 Uniform signage and new landscaping across the park also help to create a clean and cohesive feel for Schmoll’s varied tenants and businesses.